How to compare vacation rental rates. It is easy to compare prices of one hotel versus another; that industry has it down to a science. But when it comes to comparing rates on vacation rentals it can be tough to find one apple let alone two. Here’s how to make sure you are comparing similar vacation rental rates. Seasonality and vacation rental rates. 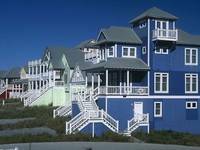 Vacation rentals prices can fluctuate wildly due to the region and season. For example, some Aspen, Colorado vacation rentals rates can fluctuate by over 100% based solely on the time of year you are renting. This is important if you are going to be renting during the change of season. If you are travelling in a “transition time,” gain a solid understanding of when, exactly “high season” stops and “low season” starts. There may be a difference of one day between two similar vacation rentals and their definition of “low season” but that one day, as in the Aspen property, could be significant. Location, taxes, and the cost of a vacation rental. Location, location, location. Is the property five steps from the beach or five hundred steps from the beach? Is it ski-in, ski-out or is it a shuttle to the parking lot then a half-mile trek to the gondola? It matters. Location also affects tax rates. 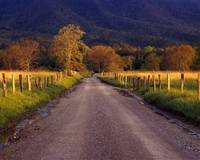 One side of the street may be in one county whereas the other side may be in a different county; the variance in county tax rates could be massive. Just ask Cook county Illinois residents who live across the street from any of their other county Illinois neighbors. Taxes may be applied to all items on the invoice or only certain items. Where the property physically sits determines the taxes. Number of beds, baths is very important but remember: interior layout, design, and the vintage affect. Two condos on the same floor, with the same layout and view may be asking wildly different prices for what, at first blush, appears to be the same thing. Why? 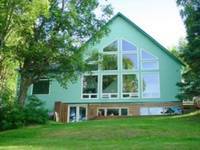 Ask about the interior of the vacation rental? When was it built or last updated? Are you going to be staying in Archie Bunker’s place, or Donald Trump’s? Ask the owner/agent to provide you with recent pictures of the interior. 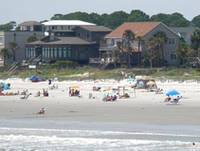 Many vacation rentals sit on-property of resorts. If that is the case, is there a resort fee? What if I don’t want to use the resort? Do I still have to pay the resort fee? You may find an owner/agent willing to negotiate with you about those fees. Just ask about them and get a clear understanding that, if you have to pay, what are you getting for your money. In my ten plus years of staying in vacation rentals, it has been my experience, that owners and agents are most willing to negotiate on the cleaning and parking fees. I can’t tell you how many times the owner/agent will either discount them or delete these fees completely. But, let’s be clear here, it is good karma to always leave money behind for the cleaners even if you are paying the cleaning fee. Once you have a perfect understanding of what you are going to be paying and what the benefit of those fees are, you now have a clear way of comparing vacation rental rates. The inevitable ancillary benefit of this exercise is that you will learn something about the area and about the owner/agent of the vacation rental. Remember that you can get a complimentary copy of chapter four of The Vacationers Guide To Vacation Rentals at vacation-rental-info.com/vrib. It’s chock full of time proven strategies to use for your next vacation rental stay. NEW YORK - Pick-your-own orchards are expected to have a strong fall season, thanks to consumers staying closer to home for leisure activities and an increased interest in local food and lower prices. "Because of the whole staycation-daycation thing, a lot of our members are saying business has been good," said Kathy McKay, spokeswoman for the North American Farmers' Direct Marketing Association. "People are looking for things to do near home instead of getting on a plane." "We have not heard of any apple U-picks going out of business because of lack of business," agreed Todd Hultquist, spokesman for the U.S. Apple Association, who says the top three states for pick-your-own apples are Michigan, New York and Pennsylvania. 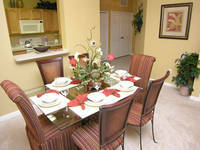 Home vacation rentals can be a great experience. They provide lots of space and privacy and can be less expensive than luxury hotels, but which property you choose can make or break your vacation. The No. 1 rule of selecting a vacation rental property is to look at lots of pictures, at least eight if possible. Even an honest property owner or rental agent will be biased toward their property, but pictures will always give you an objective view. What is "spacious" to one person may be small to the next. Ask for pictures of anything that can be exaggerated, especially views or beach access. Renting your vacation home without the help of a property management company could save you as much as half your rental income. Christine Karpinski, a self-taught Atlanta, GA vacation property owner who runs a growing vacation property rental business on the Florida panhandle, says property managers in her area charge from 40 to 60 percent to manage vacation rentals and along the Florida coast it's 30 to 45 percent. "They are going to nickel and dime you and it's insane," says Karpinski, who is also a Web site publisher, instructor and author of "How to Rent Vacation Properties by Owner: The Complete Guide to Buy, Manage, Furnish, Rent, Maintain and Advertise Your Vacation Rental Investment"
Whether your ideal summertime address is a pimped-out oceanfront palace on a sun-washed Florida isle or a veritable pile of driftwood washed atop a windswept North Carolina dune, the American beach house is a classic symbol of summer. Go ahead -- leave nothing but footprints, fly a kite in the sand dunes and get the saltwater taffy tangled in your teeth. From the Outer Banks to the Oregon coast, we've sourced some of the best domestic destinations for booking a beach house on your own sandy slice of paradise. Thinking of throwing a tantrum the next time things don’t go your way when you travel? Consider what happened to Gary Zeune before you do. The agent politely asked him to calm down, assured him that profanity wouldn’t get him on the flight he wanted, and offered to add him to a standby list. All of which only appeared to make him angrier, unleashing yet another torrent of salty language. Many people like to plan Fall trips. 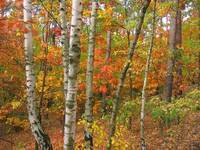 Some wish to view the lovely Fall foliage and some go for a romantic trip to a rural area or country destination. Fall nature changes are beautifully free and on display. Here are some health and safety tips for your Fall travel. The 7th annual Fall Travel Trends Survey conducted by Travel Leaders reveals that it is hard, if not nearly impossible, to de-throne the wildly popular domestic and international travel options offered by Las Vegas and Caribbean Cruising even in a tough economic year. With the exchange rate more favorable than at this time in 2008, London has seen a resurgence in its popularity among international destinations while Chicago and Washington D.C. continue to move up in the rankings domestically. The survey includes information from 452 Travel Leaders agents, managers and owners.